Last week, as we opened up registration to our Self-Sufficiency Seminar in Belize, I shared with you some of the benefits of the self-sufficient lifestyle. That said, there’s a reason we chose Belize—and particularly its Cayo region—as our base for this one-of-a-kind event. For a start, the Cayo region is rich in resources—both natural and manmade. It has more protected land than any other district… it’s the top eco-tourism destination in the country… and it boasts the largest underground cave system in the western hemisphere. Its landscape is dominated by fields and pastures, trees and jungle, rivers and livestock. Here and there, you’ll see a small house of concrete block or timber, and, in the distance, the Maya Mountains. Farmers tend corn and sugarcane, watermelons and citrus. Here, in this land of escape, life revolves around the land and values independence above all else. Important to a sustainable lifestyle is solar energy, and Belize’s Cayo District enjoys plenty of sunshine year-round. Water, too, is in abundant supply, meaning it’s easy to grow fresh fruits, vegetables, and herbs. Here in Cayo, colorful flowers and fruit-laden trees bloom year-round, and vibrant and diverse species of birds are everywhere. In Cayo, you also find well-manicured, productive Mennonite farmland. The region is reminiscent of the hills of Pennsylvania. 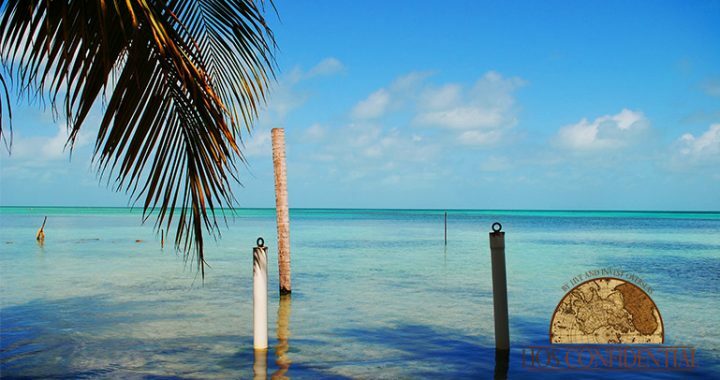 If not for the palm trees, you might not know you were in Belize. The soil here is fertile and rich, and the Mennonite farmers who work it produce most of Belize’s food supply. Belize was founded by pirates and settled by the English. However, the English in this part of the world were under such constant pressure from Spain that they were reluctant to establish any formal government to manage Belize for at least a century. From the beginning, as a result, Belizeans had to be self-sufficient. This history remains a driving force behind Belizean culture today. The country has always attracted expats who value independence and freedom. As recently as a few years ago, foreign retirees living in Belize’s Cayo District numbered but a few dozen. Today, small but ever-expanding communities of expats and retirees seeking a back-to-basics lifestyle have established themselves in this pristine land of rivers, waterfalls, and rain forests. Here, you’re not living this self-sufficient lifestyle alone and trying to figure everything out from scratch. Or, at least, you don’t have to. The growing community of expats in Cayo is welcoming of newcomers and willing to share its experiences. In fact, if you’d appreciate the help of a close community, you’ll find a number of developments here built around the idea of self-sufficiency. Here gardens and orchards are interwoven with the housing lots, so that owners can grow their own food, and homes are built to be energy-efficient. In a development like this, you can participate directly by planting and harvesting or you can simply take advantage of the fruits and vegetables grown onsite that will be made available for residents. The idea of becoming a part of a community like this, of like-minded individuals, takes some of the work out of being self-sufficient. During our Self-Sufficiency Seminar this Nov. 17–19, we’ll visit some of these communities and get to meet with expats who are building a rewarding new way of life for themselves. Posted in Live And Invest Overseas Confidential and tagged ambergris caye, Belize, cayo, self-sufficiency, self-sufficiency seminar.